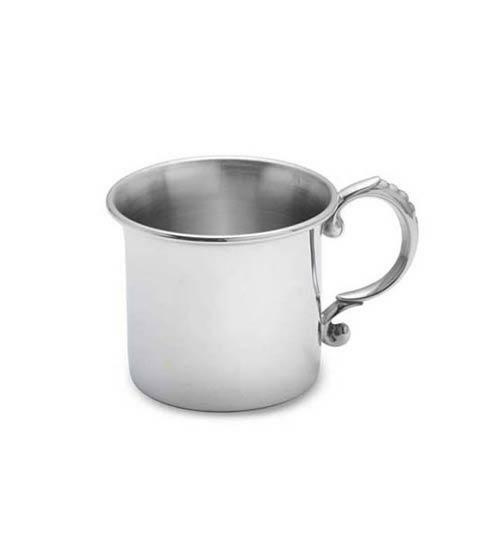 Reed & Barton ~ Classic ~ Pewter Baby Cup, Price $70.00 in New York, NY from William-Wayne & Co. The Classic Baby Cup from Lunt is a straight-sided cup which has been a favorite for generations. Crafted in easy care pewter with an ornate handle, baby cups are a traditional gift to newborns. Elegantly packaged for gift-giving. Made in the USA.